The number of people who need wheelchair assistance at airports grows steadily. Whereas the overall annual number of airway travelers shows an increase of only 3%, the number of Passengers with Reduced Mobility (PRM) grows between 10-15% per year. In the US, the PRM quota increased over 13% annually (!) between 2002-2011, where one airline alone had to serve 35,000 passengers with wheelchairs in one month. Although most of these passengers with reduced mobility are elderly or people with physical impairments, more and more people with mobility issues caused by obesity request assistance as well. Thus, demand for wheelchairs at airports keeps growing and airports as well as airlines have to adapt to this development. However, airports are facing severe problems keeping track of their wheelchair fleet. They’re incurring substantial losses each year. 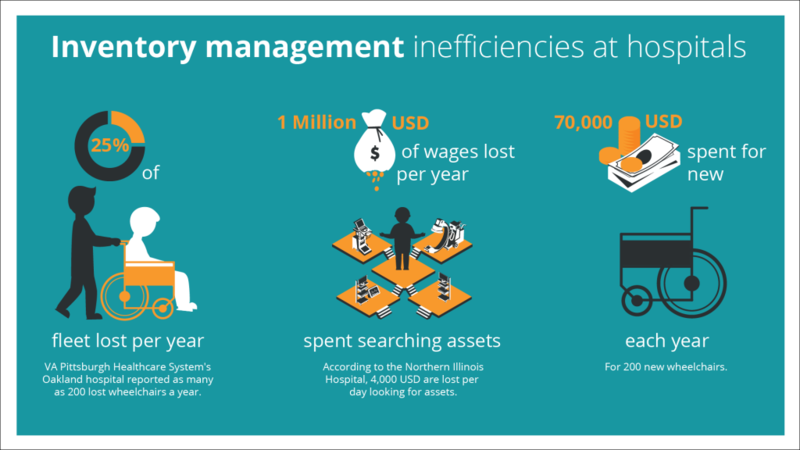 Moreover, lack of an efficient PRM management system makes it hard for them to keep track of resource allocation as well as workflows. Since PRM agents always need to be on time to pick up or deliver their clients, changes to flight schedules or last-minute wheelchair assistance requests make it even more difficult to manage and avoid delays. Similarily to airports, asset tracking for healthcare facilities still constitutes a major challenge. Up to 25% of an average hospital’s whole wheelchair fleet gets lost or stolen per year. 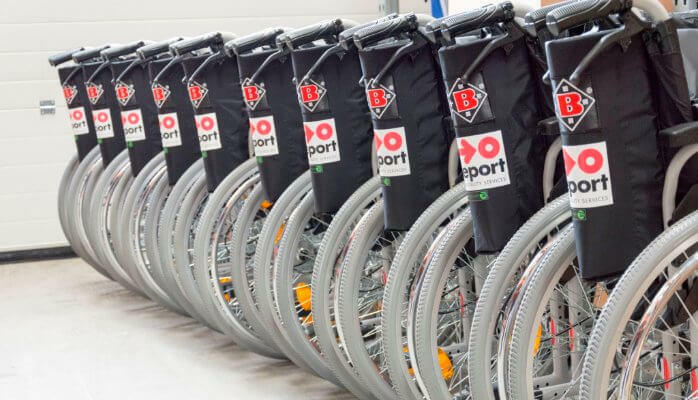 For an inventory of originally 500 wheelchairs, that equals between USD 19,000-25,000 of lost money a year. What is even more, apparently staff members spend about 20 minutes of their shift trying to find the assets, resulting in a huge annual loss of wages. Wheelchairs that are stolen and can’t be retrieved, of course, need to be replaced, leading to further cost expenditures. These are some huge amounts of wasted money we’re talking about here, which could easily be put to much better use. Be it lack of common sense, laziness or misunderstandings, it is a fact that wheelchairs are left outside unattended and as a result often are stolen. Wheelchair theft may even happen unintentionally, when patients simply take them home with them. Staff members or wheelchair users leaving the wheelchairs in random places also makes it very difficult to then find them on call. This is where indoo.rs come into play with their Asset Tracking solution. indoo.rs enables accurate tracking of each wheelchair inside (and outside of) buildings. By equipping each one with a sensor, they can be tracked individually and in real-time. A backend tool will show all assets and their availability status in real time on the map. Additionally, the picking up of patients can also be managed in the backend, making the traditional sign out system obsolete. This way you can keep a good overview of every single wheelchair and will immediately know if any asset has been abandoned in a random place.Should an asset unwantingly leave the building, an alarm will inform the management, which can instantly react to retrieve it. By combining inventory tracking with staff tracking, the management can also locate the employee closest to any abandoned wheelchair and have them take care of returning it accordingly.